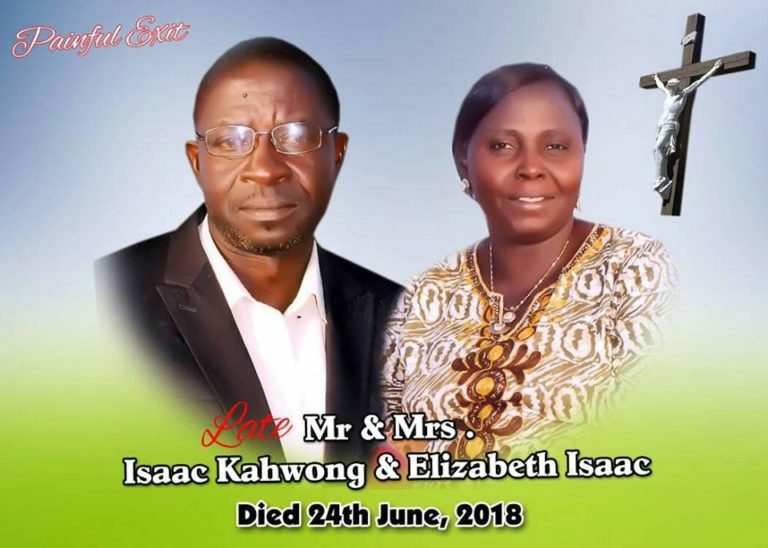 A grieving Nigerian man has taken to social media to narrate the anguish he is passing through after his parents were killed by herdsmen in last weekend's deadly attack that left many people dead. 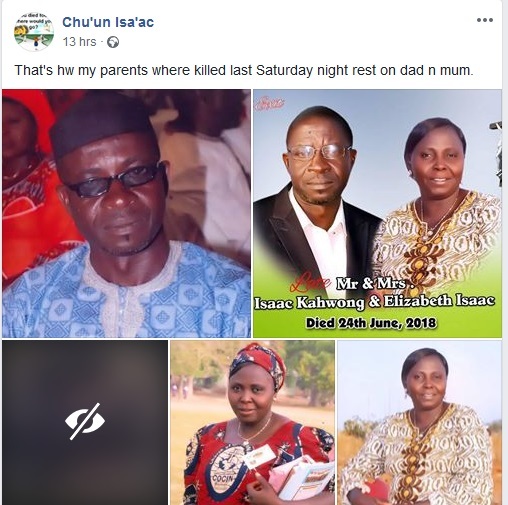 Chu’un Isa’ac while writing on Facebook shared graphic photos showing burnt bodies of his parents killed by herdsmen in one of the most bloodiest massacres in the state. Chu'un narrated that his parents were killed and their house set ablaze by the attackers who also murdered 86 others. 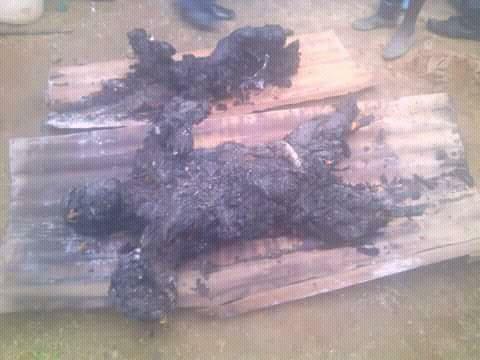 The incident happened over the weekend in several villages in Barkin Ladi, Mangu and Riyom local government areas of Plateau State in fresh attacks by gunmen suspected to be herdsmen, while over 200 others sustained gunshot injuries. It was gathered that heavily armed gunmen invaded the affected villages, including Exland, Gindin Akwati, Ruku, Nghar, Kura Falls and Kakuruk, all in Gashish district as well as Rakok, Kok and Razat villages in Ropp district of the local government area, shooting sporadically, killing people, injuring others and setting structures ablaze. Similar attacks had caused heavily barricade of roads along Mangu Halle in Mangu local government area where youths protested the incessant killings in the area and some mourners on Saturday escaped death along Barkin Ladi – Bokkos road as they were bombarded by gunshots by the herders who occupied the expressway.